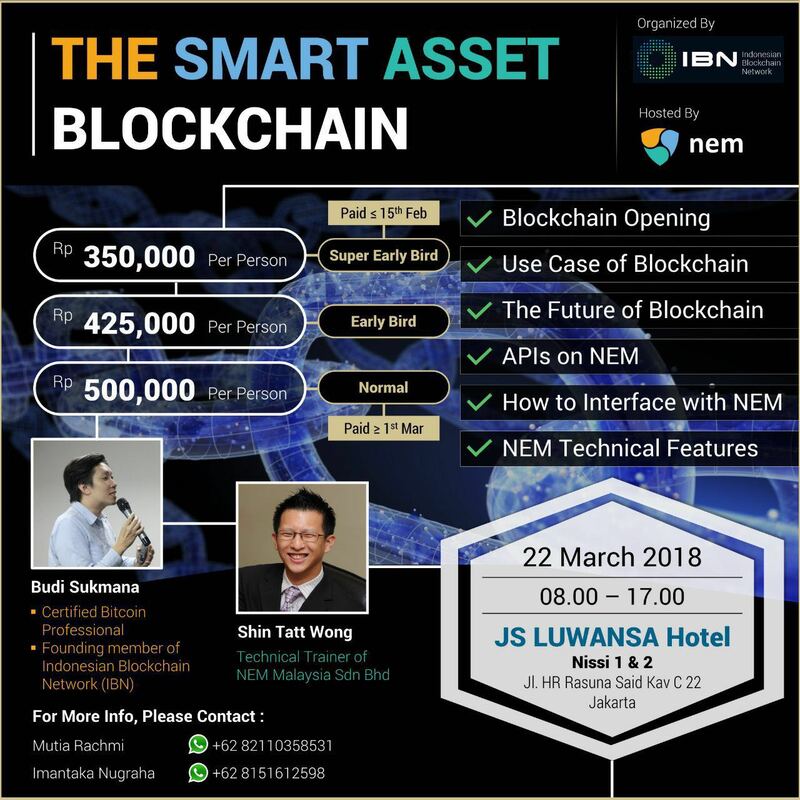 Indonesian Blockchain Network is proud to present our first NEM focused blockchain workshop – “The Smart Asset Blockchain”. This workshop aims to increase awareness about blockchain technology in general, as well as promote NEM’s platform as a solution for various sectors. NEM is the world’s first Smart Asset blockchain. Powered by NEM.io Foundation. Built from the ground up for enterprise-grade performance, NEM’s blockchain technology delivers a world class platform for management of almost any kind of asset: currencies, supply chains, notarizations, ownership records and more. NEM’S power is exposed through a straightforward and secure developer interface so that you can deploy your blockchain solution in record time. Whether you are building the next best mobile app or bringing blockchain into your existing business infrastructure, NEM makes blockchain work for you.